South Africa is a land of business opportunities because of the rapid economic transformation and development. It is very easy to start a business in South Africa even if you are not a South African citizen. Business can be done in any part of the world. All it requires is a desire to do so and to successfully implement the same. It is obvious that it takes years of hard work but once established, the business can be run by several generations of the family. The sectors that are really profitable at present like the rest of the world are property, mining, tourism and engineering. 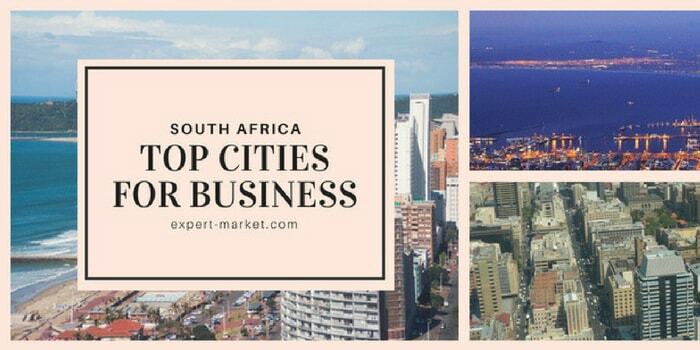 Best city for business in South Africa? Generally best city for business is most populated city but it is not in most of the cases if you are running an online business. Garments are essential for human beings and therefore owning garments manufacturing business can be highly profitable in South Africa. The major investment is required to purchase the raw material and skilled labourers. Once the final product or the garment becomes popular in the market, you can make money at a quick pace. Also, you can start importing readymade garments from countries like India and China which comes under BRICS partnership countries. One of the lucrative businesses idea for South Africa is hotel and restaurant. There are three major things in this business. First of all, capital is required, second marketing is very important in this business and last but not the least the quality of food served should be the best. If all this three conditions are fulfilled, this business will give you huge returns. Just like hotels and restaurants, bakery can be one more option. It requires lesser investment and still the profit margin can be more. It needs some marketing for the business to prosper. Fresh bakery products are always welcomed in South Africa and people love to relish on these delicacies. Synthetic straight hair is another new trend among both men and women. This is a good business and profits are more. You can import synthetic hair from India at lesser cost and sell the same to people in South Africa. The profit margins are always high. Mining requires some expertise and also undergoes certain legal process. It requires several permissions from the government. These are the pre-requisites of this business, but once you get the license for mining business you are all set. This business will give you lot of profits but the start will always be difficult. By Agribusiness, we mean industries which supply agricultural services to farmers or in other words it is done on commercial basis. Therefore, it can be a good business idea. It will require capital, raw materials and labourers however these are considered to be the primary requirement for the business. Moreover, it is important to understand which crops are native in South Africa. There can be nothing more profitable and lucrative than IT and Telecom. It is obvious it will take years of hard work to get client, skilled resources, infrastructure and work on board. However, once done the business is bound to flourish and the profits are limitless. You can also go for telecom distributorship in South Africa. Real estate is a growing market round the world and South Africa is no exception. Real estate business has become very popular as the standard of living has increased. Therefore, to start with you can act as a middlemen or broker by joining a firm. Soon you can have a firm of your own once you save some money for the same. Online business requires lesser investment and the profits are more. Online business includes multiple things like selling a imported products, writing, managing social media accounts etc. the profit can be less as compared to other businesses; however it is a constant source of income. In countries like South Africa, car care products and accessories are in high demand. You can start a business of car accessories with some investment and the profits will be moderate. The only thing you need to focus is that the quality of products. Pharmacy has become a profitable business these days. This is mostly because of the world we live in where we are always prone to some disease or the other. For establishing this business, you need to tie up with a supplier who can supply medicines of different brands to meet the requirement of the people. It will require initial investment but the profits are huge in this business. Construction material involves sand, cement, bricks, construction equipments etc. and can be charged heavily for the same. Therefore, it is a good business idea and yields high profits. Food processing is nothing but a process to preserve the food. In South Africa, people mostly consume packed and frozen food. Therefore, this can be taken up as a business and profits are guaranteed. Cab services are very popular in South Africa and are believed to be one of the easiest modes of communication. All you need is to get a license for establishing this business. You may purchase some cars and hire drivers. That’s all; your business is definitely run on wheels. Garments shop can be another popular business. You can start it on a small scale or a large scale. Small scale will include clothes which are local to that area whereas on a big scale you can sell branded clothes from across the world. Everyone owns a mobile these days and its accessories are in high demand. Therefore, get yourself updated with the latest accessories and invest some amount to get your own shop. Once your business gets name, mobile dealers will start contacting you. Gardening service includes both supplying gardening materials as well as sending gardeners to work in a person’s garden. Both ways the investment is less and profits are more. Grocery store is a profitable business in any part of the world. All you need to see is the food habitats of the people in that region and then keep similar food items in the shop. You can tie up with a wholesaler native to that place and your business will definitely do well. The margins are high in this business. 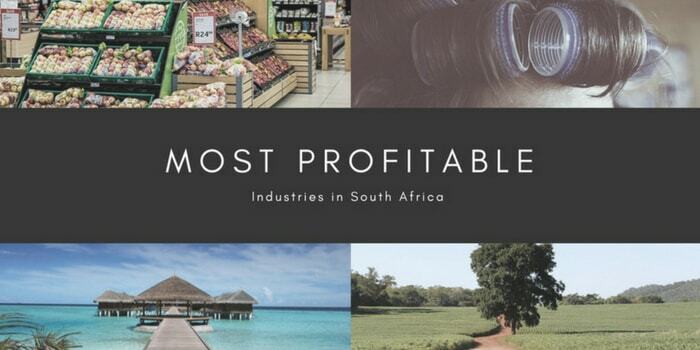 This is a great business idea and a profitable one too for South Africa because of less competition. Paper cups and plates are in demand everywhere, from birthdays, marriages, office to even domestic business. the investment required is also less and the returns are good. This business can include import of any material whether it is clothes, electronics or any other merchandise based on your business. Certain norms and laws need to be followed and initial paper work takes time. Waste management includes collecting the waste products, segregating them and finally disposing them off. It can include any material like paper, plastic, food items etc. this is also a business in which you can get good returns from it. Candle making is a great business idea and is required almost in every occasion in South Africa. Candles of various shapes and sizes perfumed ones etc. are used for domestic as well as commercial purposes. It requires very less investment, however great skills. The profits are huge. Event management requires a thorough planning process. Organising corporate parties, weddings, birthday parties all fall in this domain. It requires very low investment to purchase the material however it earns you good money. These days there is lot of focus on recycling business. This is because of the depleting natural resources. This makes it an ideal business to establish. Recycling paper, wastes, plastics etc are all part of this business. The returns are moderate in this case. One of the cutest yet lucrative business idea in South Africa is babysitting. It does not require any investment. Initially for babysitting one can go to various houses and complete their task. Once you have sufficient money, you can open up an agency for babysitting. Photo shoots for wedding; magazine cover, birthdays etc. are part of this business. You need to hire good photographers and the profits are very high. This business requires more of marketing and contacts. These days’ people are running out of time, therefore home delivery has become a new business in the market. You can select a domain of things to be delivered and hire some people who can do the job for you. Your business is all set. This is nothing but the art to restore or refinish the furniture to maintain its look and sheen. It is mostly done on antique pieces but these days even at home people prefer the same. 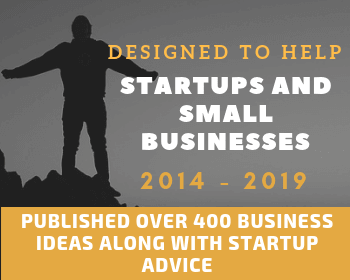 Content writing is also a good business idea. It does not require any investment but depends on how many content can be delivered to client on time. The rates are prefixed and you can earn as much as you want. Also, it does not require separate space, you can work from home. This is another highly profitable business where you can export some highly finished products which is being manufactures in South Africa and have high demand in other countries. Eg. South Africa is rich in diamonds, therefore diamond jewellery can be exported to any corner of the world where the demand is high. 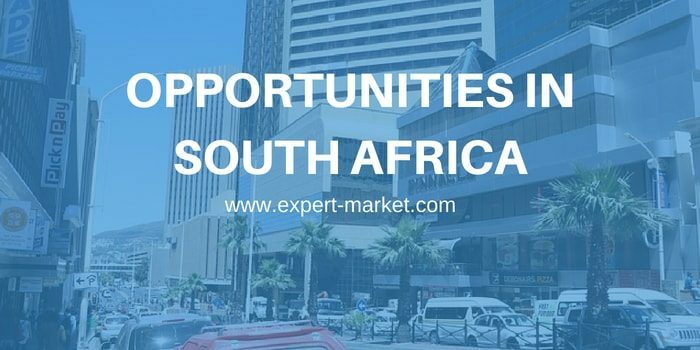 Lot’s of business opportunities are there is South Africa! Large population are in need of basic products in every aspects of life. 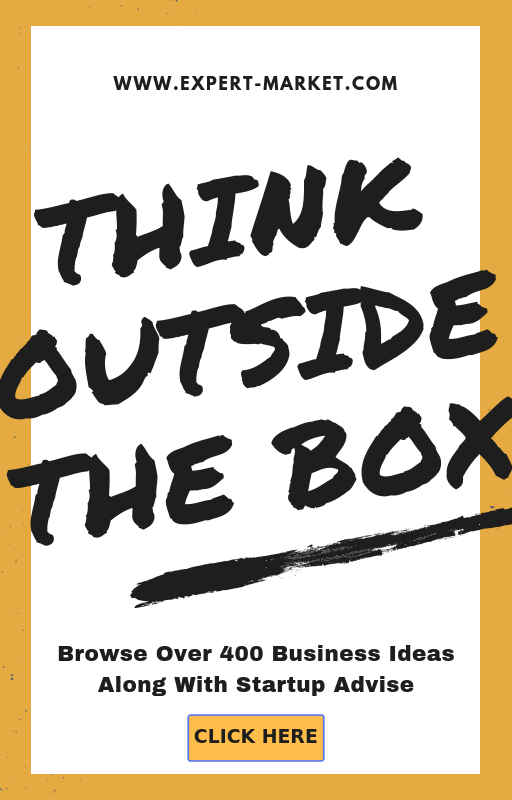 Pick one business ideas out of these and start your business venture in South Africa. Hello Sir/madam i have private Investor in search for possible business investment opportunities and they are willing to invest in any part of the wold being in Europe and Middle East, GCC Gulf countries since there is evidence of a prominent economic,just contact me on (aladji.hassan2@gmail.com) for more inform.